Please look at the OFFICIAL PROGRAM of the coming week at the following link! Please find herewith enclosed the WAKO activity calendar 2019. Following WAKO rules and regulations the eligibility for the participation is reserved only to WAKO national Federation/Association members. Please take note that we are still waiting for further information/updates from WAKO Continental Divisions about events to be held in 2019, so accordimgly as soon as received the calendar will be updated accordingly. However in the meantime, based on this calendar, you can start to plan your activities for next year! 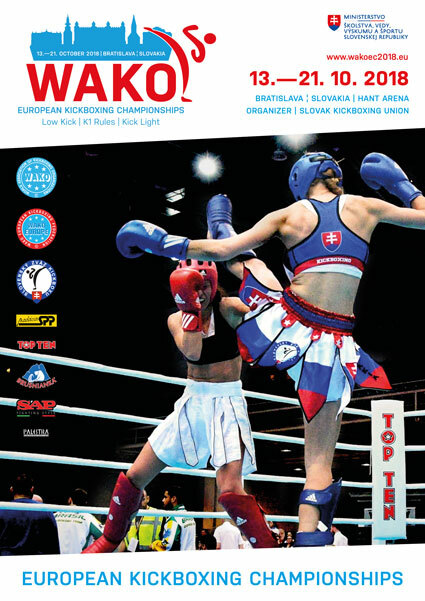 The WAKO Senior European Championship in Low Kick, K1 Rules and Kick Light Contact will be held in Bratislava, Slovakia from 13th to 21st October, 2018. Attached you can find Official Invitation with all important information about the Championship. 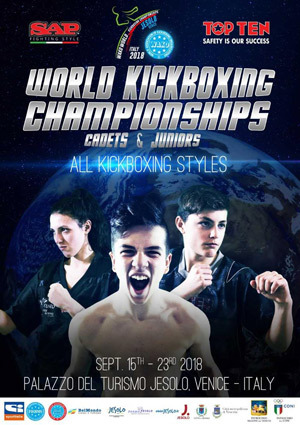 Official Invitation can also be found on both WAKO Europe and WAKO IF web pages. Looking forward to see you all in Bratislava! Yesterday, the World Anti-Doping Agency (WADA) issued a media release related to the reinstatement of the Russian Anti-Doping Agency (RUSADA) as compliant with the World Anti-Doping Code (Code), subject to strict conditions. Meeting in the Seychelles upon the invitation of the National Sports Council of the Seychelles, WADA’s Executive Committee (ExCo) primarily focused on this key decision. However, the ExCo also took other important decisions related to Signatory compliance with the Code, science and medicine, and other matters. As it relates to compliance, given that the underlying condition triggering the potential non-compliance of the International Boxing Association (AIBA), namely RUSADA’s non-compliance, was removed, the ExCo approved WADA’s independent Compliance Review Committee’s (CRC’s) recommendation that no further action be taken against AIBA in respect of the awarding of its 2019 Men's World Championships to Sochi, Russia. AIBA was, however, reminded of its obligation, moving forward, to comply scrupulously with the requirements of the new Article 20.3.11 of the Code. The ExCo also approved the CRC recommendation to give four months, starting yesterday, to the Democratic People’s Republic of Korea’s Anti-Doping Committee (DPRK ADC) to correct its outstanding non-conformities. If the DPRK ADC fails to meet that deadline, WADA will make it automatically non-compliant without the need for further decision by the ExCo. The ExCo approved the 2019 Prohibited List of Substances and Methods (List), which will be published by 1 October 2018 and come into effect on 1 January 2019. While the amendments from the current List are minimal, every effort will be made to ensure that the changes are clearly communicated via numerous channels to stakeholders. The ExCo also approved the re-accreditation of the South African Doping Control Laboratory (SADoCoL) in Bloemfontein. The SADoCoL’s WADA accreditation had been suspended in 2016 due to non-compliances with the WADA External Quality Assessment Scheme. Since then, the laboratory successfully completed the required technical and administrative steps of the accreditation process as established in the International Standard for Laboratories (ISL). As it relates to scientific research proposals, funding was approved for a total of 18 recommended projects. Of those, 14 projects are to be supported by the 2018 grant research budget (USD 1,203,450) and four projects will be covered by the IOC/Governments special research fund (USD 527,000). will come into force on 1 January 2019, and approved the Technical Document for Athlete Passport Management Units (TD-APMU), which will come into force on 1 March 2019. While the above outlines the key decisions of the day, it should be noted that WADA Director General (DG) Olivier Niggli opened the meeting by providing updates on a range of topics, including the ongoing work of WADA’s Governance Working Group, which will report to the Foundation Board at its next meeting in November. The DG also presented an extensive document, which outlined an analysis of the main issues encountered in the Russian doping crisis, and a summary of the actions that WADA has taken in light of the issues that have led to a strengthened WADA and global anti-doping system. The ExCo supported WADA Management’s proposal that the Agency would now revisit its 2015-19 Strategic and Operational Plan. The 12-member ExCo is WADA's ultimate policy-making body, which is composed equally of representatives from the Olympic Movement and Governments.